Powercut was started in 1984 repairing and selling second hand garden machinery. 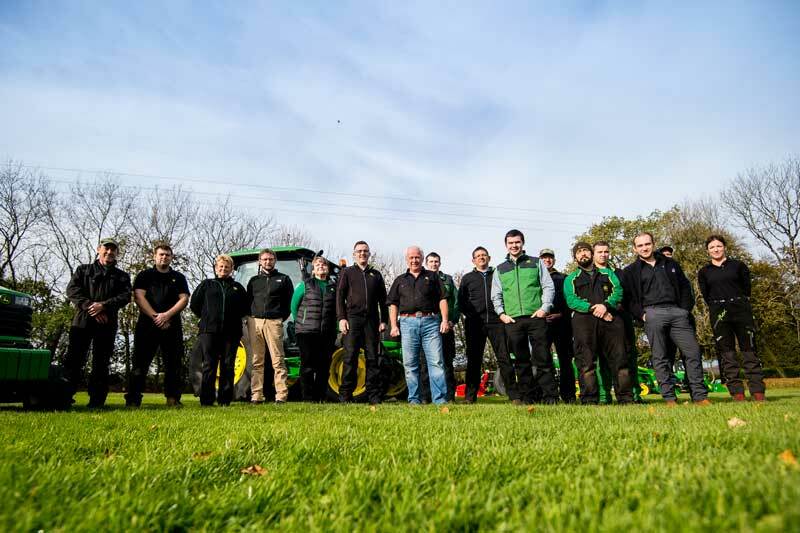 In 2019, we celebrate our 30th year as appointed John Deere dealers for domestic mowers, commercial mowers and golf & turf equipment, serving South and West Wales. We have a fundamental principle to only sell what we believe to be the best...hence John Deere, Wiedenmann, Trimax etc. You won't find lots of different makes of similar machines here - we're focussed on creating the best package. We make sure that we know what we're talking about and that we can back it up with great service afterwards! We operate from our base at Oaklands Mansion, Cwmffrwd, Carmarthen, where we have the extensive facilities of showrooms, workshops, stores, offices and over 20 acres of varied landscape which we use for the testing, evaluation and demonstration of our machinery. As well as new and used equipment sales, covering everything from strimmers to lawnmowers & tractors, we offer a huge array of parts on site and a comprehensive service facility offering diagnostics, scheduled maintenance and repairs for all types of horticultural machinery. Our team all have practical experience of the machinery we sell, using it regularly. They understand the quality and capabilities of our products, so they can provide advice that you can trust to make an informed decision. Their invaluable hands-on experience is backed up by formal technical training to keep them up to speed on new developments and products - we invest over 100 man-days a year to make sure that our service is second to none.